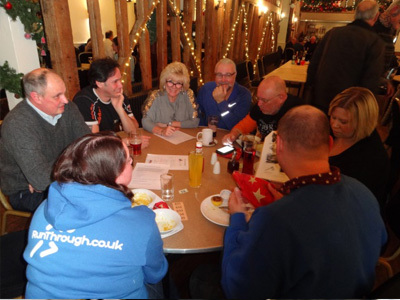 It is likely that your first introduction to the Group will be at one of our meetings held on the first Tuesday of each month at Channels Golf Club, Little Waltham, Chelmsford. 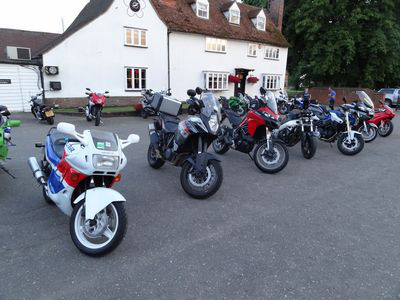 These are informal gatherings where you will be able to discuss motorcycling with other like-minded riders, all of whom share a common interest. There is a bar and a selection of food is available. Guest speakers give presentations on a wide variety of motorcycling topics and there are often question and answer sessions. 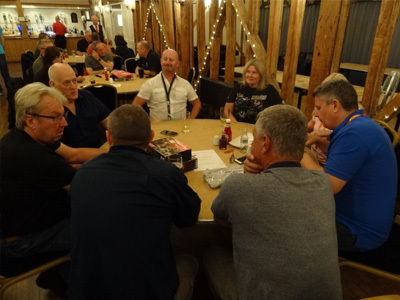 The topics covered include accident investigation, presentations on trips abroad with tips and advice, talks from tyre manufacturers, airvests and heated clothing. We have had off road and on road bikes brought in, TT trophies and leathers that have slid round racetracks, accompanied by entertaining and informative speakers. Occasionally we have non bike topics notably a Concorde pilot and a speaker from the RNLI. 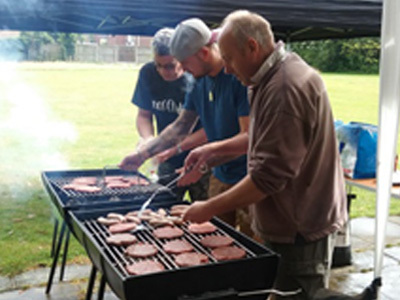 In December we always have a quiz where friends and relatives are encouraged to join us, and in the summer another family event is our very successful BBQ.